Sometime in 2005 while working a corporate job, Chris found herself itching for something new and challenging. Growing up with very crafty women in her family, she had always enjoyed the process of making things. Chris sought out a class that might stretch her and provide a creative outlet. 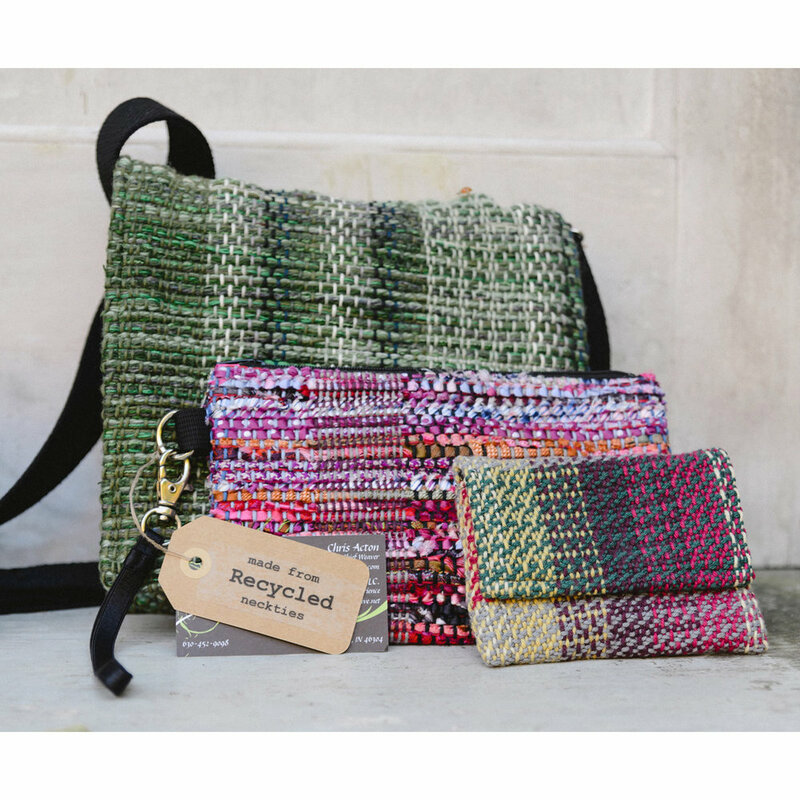 She took a weaving class and it was life-changing! 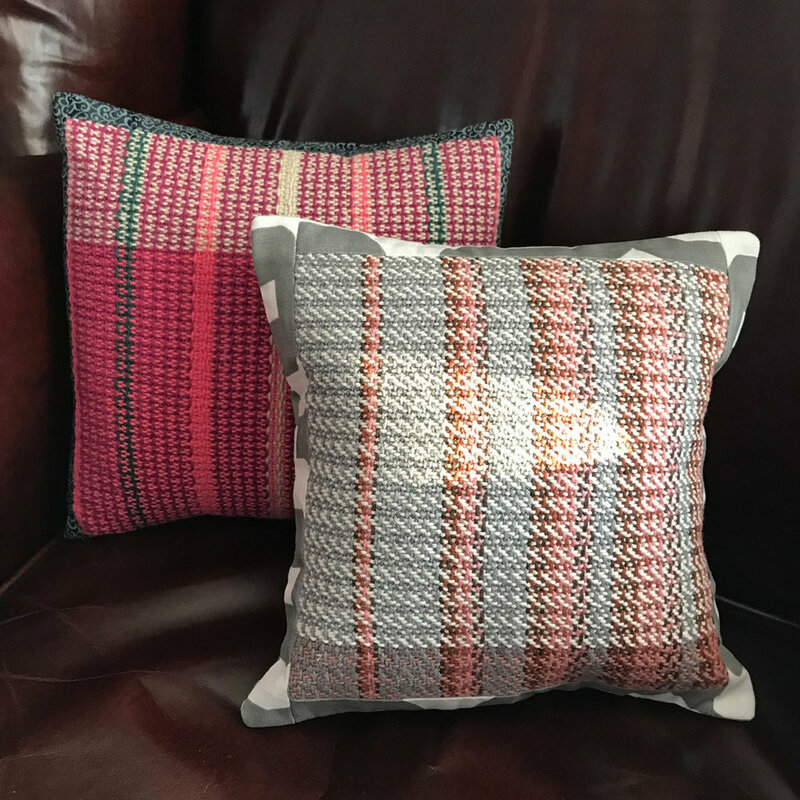 She remembers thinking, “I could do this all day long!” Three years after first trying her hand at weaving, she quit the corporate gig and decided to focus on this marvelous craft that fit her like a glove! Ever since then, Chris has been listening to her inner voice, developing her own distinctive style of weaving, and spreading the love of fiber wherever she goes! For CSA Valpo, Chris will be creating unique handwoven eyeglass cases. Each one will be created used recycled neckties for the fabric, making each completely unique and as a bonus, good for the environment. My handwoven fabric is made on a floor loom - one yarn at a time. Traditional cotton yarn will be used for the basic structure and a variety of silk and polyester neckties for the fabric.